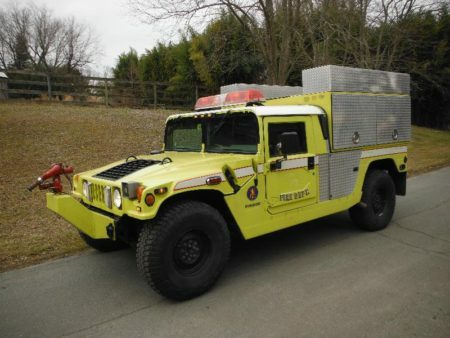 LISTED IS A LIKE NEW 1997 HUMMER BRUSH FIRE TRUCK WITH ONLY 34K ORGINAL MILES! 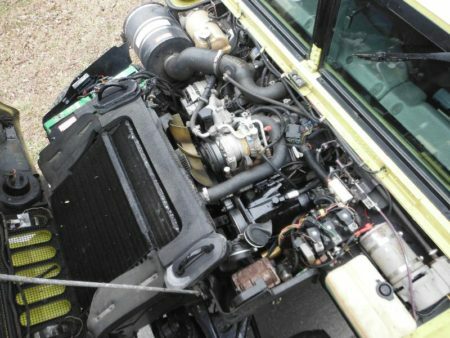 THIS IS A RARE HUMMER WITH BOTH A TURBO AND 4SP OVERDRIVE TRANSMISSION. 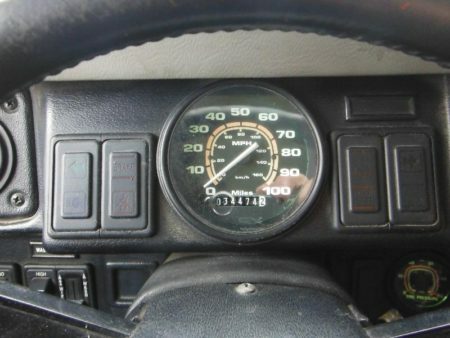 RUNS 80 MPH! GOBS OF POWER. 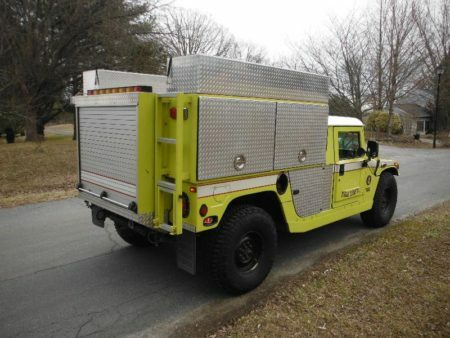 CAN BE USED AS A BRUSH TRUCK, OR CONVERTED TO A 4-DR HUMMER H1. YOU’RE CHOICE. THIS TRUCK WAS STORED INSIDE ITS WHOLE LIFE. LITTLE TO NO RUST. RUNS AND DRIVES PERFECT. EVERTHING WORKS, INCLUDING ALL THE EMERGENCY LIGHTS AND HORNS. 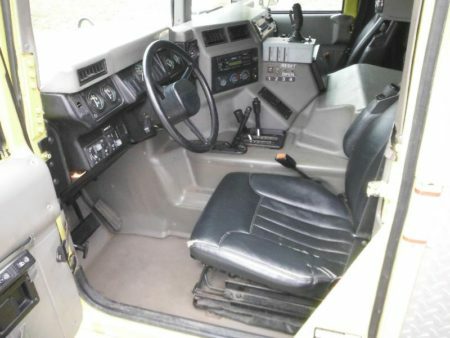 TRUCK ALSO HAS ICE COLD A/C. THE PUMPS, REMOTE CONTROLS, AND JOYSTICK WORK PERFECT. BOTH FOAM AND WATER PUMPS WORK. TRUCK WAS UPGRADED TO A 250 GAL WATER TANK. 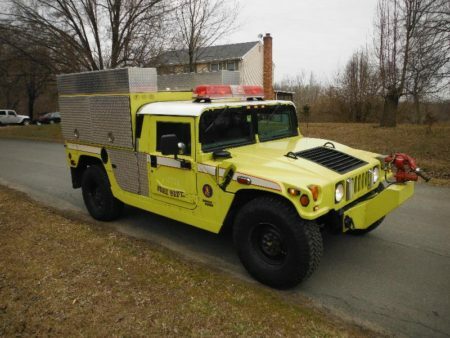 WAS USED TO CHASE QUICK MOVING BRUSH FIRES. WAS USED ORGINALY AS A DANCO EMERGENCY EQUIPMENT PRODUCT DEMO TRUCK FOR FIRE APPARATUS SHOWS. 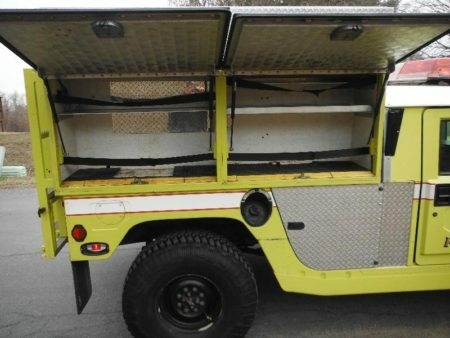 WAS SOLD TO A AIRPORT IN KENTUCKY TO PUT OUT PARKING GARAGE FIRES WHERE LARGER TRUCKS COULD NOT ACCESS. 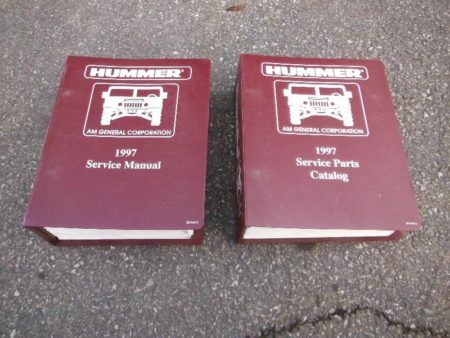 WHEN IT WAS NEVER USED, WAS SOLD TO A FIRE DEPARTMENT IN VERMOUNT WHICH HAD IT FOR 10 YEARS, BEFORE I PURCHASED IT. IT WAS WELL MAINTAINED. SOME MORE SPECS ON THE TRUCK IT SELF. FULL TIME 4X4 (ALL WHEEL) DRIVE FOR OFF-ROAD, SNOW AND ICE. HYDRAULICALLY DRIVEN CENTRIFUGAL FIRE PUMP. FOAM PRO CLASS A COMPRESSED AIR FOAM SYSTEM POWERED BY (2) 440 CUBIC FOOT CASCADE AIR BOTTLES. 125 FEET ¾ BOOSTER HOSE ON ELECTRIC REWIND REEL. 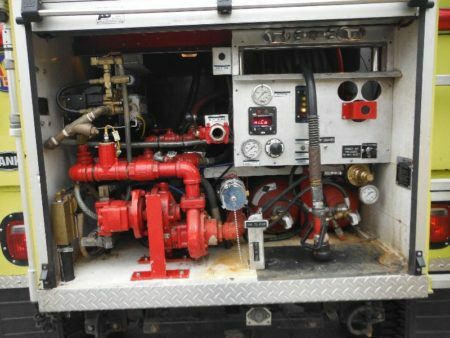 2 ½ INLET WITH AIR PRIMER PROVIDING AN ENDLESS NURSE TRUCK WATER SUPPLY FROM A TANKER. 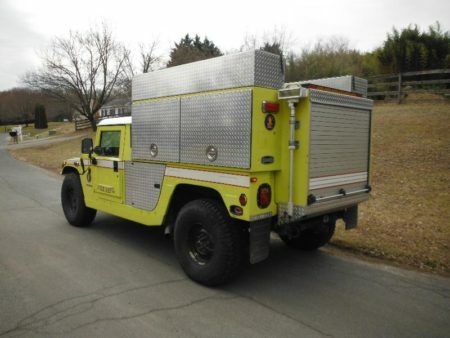 THE HIGH GROUND CLEARANCE, ALL-WHEEL DRIVE DESIGN MAKES THIS THE ALTIMATE WILDLAND FIRE (BRUSH) TRUCK.